In which scholar project would you like to work? Today, this year’s KfW Foundation scholars pitch their project proposals. Good luck to all of them. A lot of hard work went into the project proposals before, during and after the four weeks of Spring School. While we await the decision on this year’s winners, you can test yourself: Which of the projects matches your conservation interests the most? Our quiz has five questions. Make sure to note down the number of the answer you selected for each question. That will be essential for the outcome of the game! A. Which challenge in nature conservation interests you the most? 1. Conversion of natural habitat for agriculture. 2. Deforestation as a result of illegal mining. 3. Endangered species suffering from habitat loss. 4. Endangered species threatened by poaching. 6. Deforestation due to population growth. B. Which component in nature conservation is important to you? 1. Promoting sustainable agriculture and forest management in local communities. 2. Monitoring forest cover to detect illegal deforestation. 3. Re-introduction of endangered species. 5. Assuring human rights and law enforcement. 6. Assuring sustainable livelihoods of local communities and connectivity between habitats. C. What’s your favourite species? 1. Maned wolf – is it a fox? Is it a wolf? Neither! 2. Jaguar – gotta love big cats. 4. 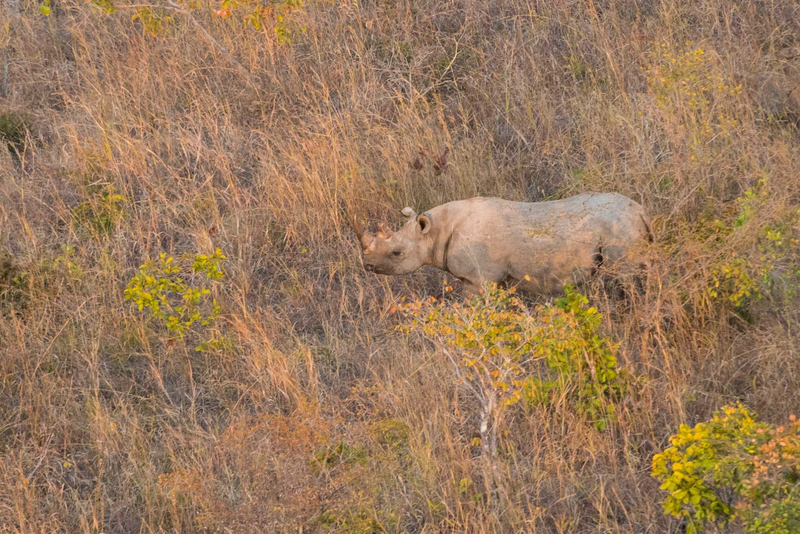 Can’t really decide between black rhinos or elephants – both are awesome. 6. Chimpanzees – our closest relatives! D. Which tools and methods would you like to apply while working in a conservation project? 1. Smart strategies to promote sustainable local products and collaborations between communities. 2. Unmanned Aerial Vehicles (“drones”) and maps. 3. Telemetry and behavioural observations. 4. Camera traps and habitat assessments. 5. New communication mechanisms with the local community. 6. Beekeeping, microfinance and wildlife corridors. E. In which country would you like to work in the field of nature conservation? Authors: Dafna Gilad and Vera Pfannerstill. P.S. : The frog in the top image is a glass frog (Hyalinobatrachium crurifasciatum), photographed near the Jordan Falls in Kanuku Mountains Protected Area, Guyana by Daniel Rosengren. https://frankfurtspringschool.de/wp-content/uploads/2019/04/guy_frog.jpg 570 1500 Spring School https://frankfurtspringschool.de/wp-content/uploads/2018/02/logo-spring-school@2x.png Spring School2019-04-11 10:27:292019-04-11 10:34:14In which scholar project would you like to work? Katharina Kühnert, young conservationist from Germany. We were inspired by Frankfurt Spring School and all its components. We acquired new skills, we shared experiences, we built a network and made new friends. We are motivated and very well prepared to start or continue our conservation projects. And with this, we wish all of you good luck with your career plans and look forward to meeting you all again! Six Spring School participants from Latin America, Africa and Asia received a scholarship from the KfW Foundation. During the four weeks of Spring School they not only attended the lectures but also worked on their own project proposals. When Spring School is over they will present these proposals to a jury. Three of the six project ideas have the chance to receive financial support from the KfW Foundation and will become proper conservation projects in the future. The aim of the project is to stimulate and value the sustainable use of socio-biodiversity resources of the Cerrado. The Cerrado holds around 5 % of global biodiversity and its habitat is being destroyed and deforested really fast, to make room for agricultural production. At the same time, the Brazilian Savanna has a great potential for utilization of the native fruits and a great diversity of non-timber forest products. Empowering agroextractivism* is a strategy of the project because it is important for the conservation of the biome, and for the income generation of the communities that carry it out, contributing to the improvement of living conditions and, consequently, to the permanence of the Cerrado peoples in rural areas and in the protected landscape. Thus, this project aims to contribute to the WWF overall goal to keep the Cerrado standing, respecting the ecological dynamics, valuing and conserving preserving this biome. * Agroextractivism, in general, means the non-destructive collection/harvest of non-timber plant-origin products (leaves, fruits, nuts, seeds, oils, among others) for various uses (food, medicine, cosmetics). 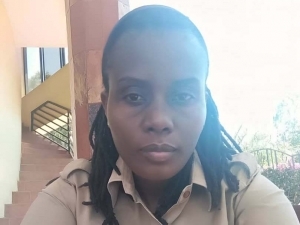 The project is about using fixed-wing unmanned aerial vehicles (UAV) to enhance the monitoring activities across Guyana’s National Protected Areas System. This project will be piloted in the Kaieteur National Park where illegal gold mining is the major threat. Another aspect of the project deals with building the capacity of the Protected Areas Commission, to integrate this UAV technology into Ecological Threat Monitoring programmes with the development of protocols and trainings. 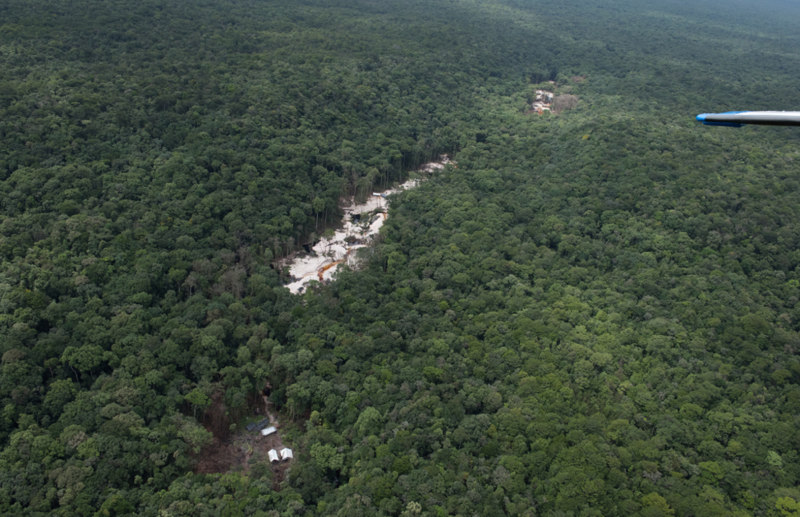 This project will help to provide better quality data to understand the extent of the problem of illegal gold mining in the protected area and thus make effective management decisions to eradicate the threats. This project is about the improvement of monitoring and evaluation standards in Sumatran orangutan reintroductions. After more than a decade, there were 13 infants born in Bukit Tigapuluh National Park. However, several of them as well as their mothers couldn’t survive because the mothers lacked necessary maternity skills. This condition is very severe because the population will continue to grow and more babies will be born. The project aims to improve the survival chances of reintroduced mothers and infants. We will conduct monitoring on mother infant couples to be able to support them and gain knowledge about their behaviour. The project will identify the impact of the increasing elephant population on the rhino sanctuary in North Luangwa National Park so as to draw up a monitoring impact plan on the rhino conservation area, and provide information about the status of rhino browse and biodiversity within the rhino sanctuary to inform a management strategy for the sanctuary as well as overall Protected Area Management approaches for the national park, in particular for elephant and rhino management across the ecosystem. The project idea is to accompany the first implementation of a complaint mechanism in Salonga National Park. The project’s purpose is to reduce human right abuses and other abuse of power by rangers. The ultimate goal is to satisfy all stakeholders and preserve the integrity of the park. The project aims to build capacities where needed, document successes and failures and propose improvements of the complaint mechanism. 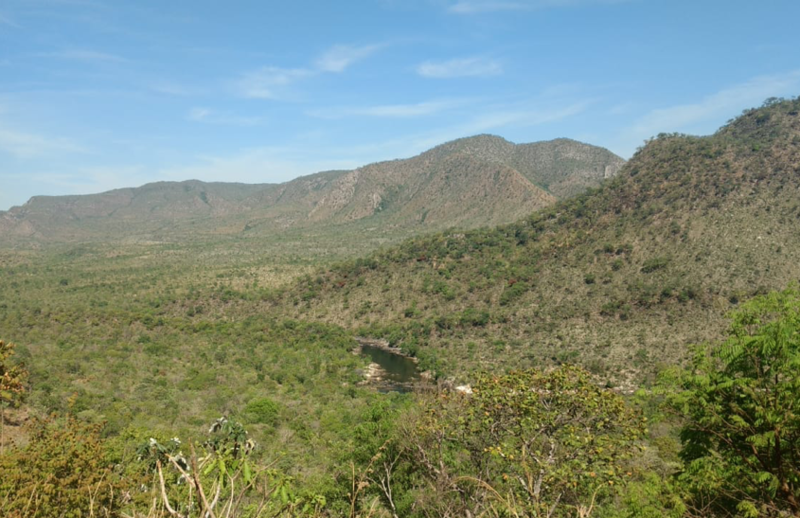 The project aims at reducing deforestation in the wildlife corridor connecting Mahale and Katavi National Parks. 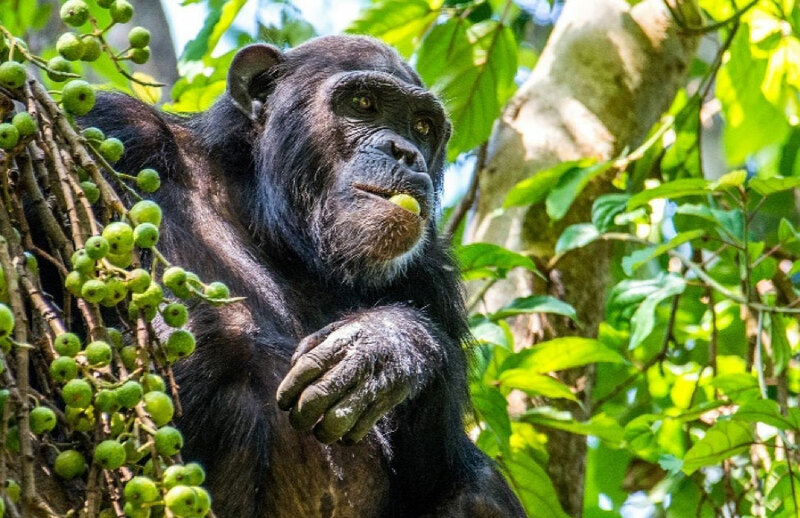 This area is the habitat of a rare and endangered subspecies of chimpanzee (Pan troglodytes schweinfurthii), elephants, African wild dogs and other animals. However, there is severe deforestation ongoing due to unsustainable livelihoods with slash & burn agriculture practices, illegal logging and charcoal making as well as poor law enforcement in Natural Resources Management (NRM) in the wildlife corridor villages. The project will help to strengthen capacities of village institutions and to ensure law enforcement in NRM. It will improve people’s livelihood through the establishment of microfinance schemes with Community Conservation Banks where communities, especially women, will have access to loans and open businesses, and the establishment of modern beekeeping where communities will get income from selling honey. This will help to reduce deforestation in the wildlife corridor. We wish all of our scholars best of luck with their proposals! How to create the most intense network situation imaginable? Take a team of conservation veterans, unleash 30 students on them and make sure to limit their time for small-talks. 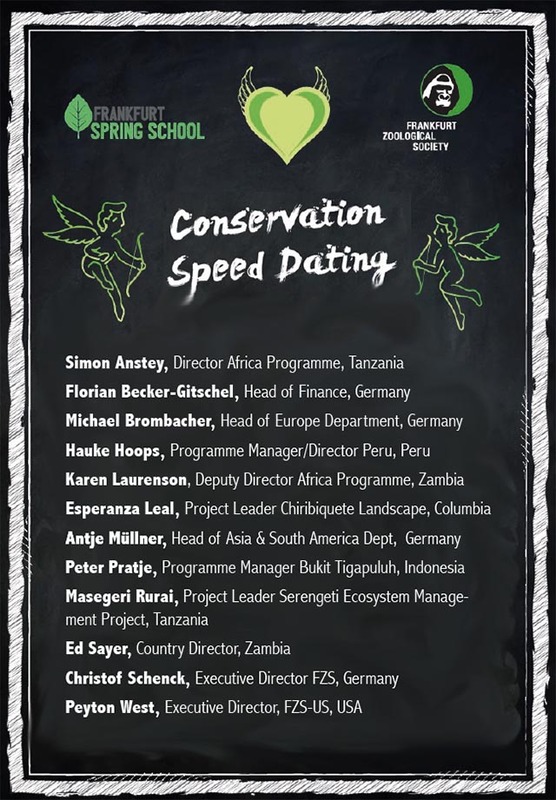 Vóilà, you’ll end up with an event we call “Conservation Speed Dating”. How does it work? Actually quite similar to the romantic approach. Take at least 10 groups of 2-3 students and one expert. Give them some space, but limit the privacy to 5 minutes. Then, mercilessly ring a bell – better a proper gong – and make sure the students move on to the next conservation expert on the next table. While the first gong comes as a surprise, everybody will gear up immediately after. Just minutes into the game, all are up to speed and talking. Here is our proof-of-concept and the cast for this years’ date-floor. For the students it was a unique opportunity to ask the experts about their conservation career, the most challenging aspects of their job and how is it like to work in remote places. Make sure not to wear out the concept. Allow about an hour for the speed dating cycles, then swap the gong and stop-watch for a nice buffet and leave everybody as much time as possible with their “perfect conservation match”. Clear communication between colleagues, partners and the public, as well as the ability to handle conflicts when they arise, are key at every stage of a conservation project management plan. There is nobody at the Frankfurt Spring School that knows this better than Katja Rinkinen. Katja is our expert soft skills facilitator who today, has shared her rich knowledge and experience with our Frankfurt Spring School participants. We talked with Katja to understand more about her role, expertise, and experience at the Frankfurt Spring School 2019. How did you become interested in soft skills and personal communication? After 20 years of business experience I can conclude all I have learned in one sentence: “Communication is key”. The first time this idea came to my mind was in a conservation project of what was then known as GTZ, and is now GIZ, a German development aid company. As part of this project in an isolated region of Peru, I witnessed first-hand a meeting between keen NGO-workers and a local community living in a buffer zone of one of the county’s national parks. I won’t forget the facial expressions of the local representatives when the project was presented to them. It seemed to me that two worlds without any possibility of understanding each other were clashing here. I went on from this experience to become a communication consultant and business coach in the finance sectior, looking after clients like Goldman Sachs, Deutsche Börse, the German Stock Exchange, ING Diba, and Deutsche Bank. Nowadays I work exclusively with executives on their communication styles and stage performance, and still… Communication is key. What is the greatest challenge you face in your role, and how do you overcome it? Personal communication is exactly what it says, personal. How you communicate, act in conflicts and “on-stage” is a result of education, up-bringing and experience. If you decide you want to develop another communication style or behavior it will take a great amount of work, and a lot of psychology is involved. Ensuring sustainable progress and development is very hard work, but for me it is very rewarding to observe the success of my clients. What is the main message you hope to convey to the Spring School participants during your session? I hope they will understand that to succeed you have to be excellent in two fields. You must be excellent in the field you are working in, such as conservation, biology, geography or zoology, and you must be excellent at management and leadership. In my experience, you have to be very professional in these areas to get things done. Your message must be convincing or even tempting so that people are urged to follow your ideas, processes and suggestions. In order to do any of this, you must be a communications specialist! I hope the students will reflect on their communication style and how communications actually “works”. You need to be able to conduct efficient meetings, to know how to discuss delicate issues constructively , and how to avoid pointless conflict while still being able to handle that which is unavoidable or previously existing. Hopefully I can show and convey that communication and conflict resolution can be a joyful art which makes everyone’s life easier, and which is worth learning and practicing. Katja Rinkinen is just one of the Frankfurt Spring School’s expert facilitators that form the backbone of our course and experience. The Frankfurt Spring School attracts students and young conservationists with different backgrounds from all over the world. When applying for a course entitled “Conservation Project Management”, of course most of us expect to learn about project management. But the expectations go far beyond that: networking, tools and methods for conservation management, financial management and fundraising are skills we hope to take home and apply in our projects. Especially, as many of these skills are not taught at university. We asked a few of our fellow students about their personal motivation to be here. I look for exchanging experiences with conservationists from all over the world, mastering project management and making new friends. This is an excellent opportunity for young conservationists to get real-life lessons about project management and conservation. I hope to learn things that make me a better conservationist and help me to have a positive impact for nature conservation. This years participants originate from eleven different countries. A vivid mix of different academic backgrounds and experiences. However, all are united by similar expectations and their love for nature and our planet. We are looking forward to three more exciting weeks of discussions, information, brainstorming and fun as a team of Spring School on Conservation Project Management participants. Info: This year, some students volunteered to be part of the editors team to help create the blog content. This text & video has been created by Regina Domoko, Vera Pfannerstill and Stephanie Kalberer. A warm welcome to the great city of Frankfurt, home of the Frankfurt Spring School and a multicultural hub of opportunity. We are extremely happy that each of you is joining us for this fantastic learning experience in 2019. Aside from the Spring School course, we’re keen to ensure you have wonderful experience in Frankfurt and make the most of your time in the city. Frankfurt is not that huge – at least if you ask the locals. Visitors might think differently, even so they’ll soon discover the charming and intimate sides of the city. To help you find your way to the Frankfurt Spring School, have a look at the following map. The three main locations for your courses are a bit spread out, but easy to reach by public transport. You’ll find clickable links to the locations on Google Maps below. 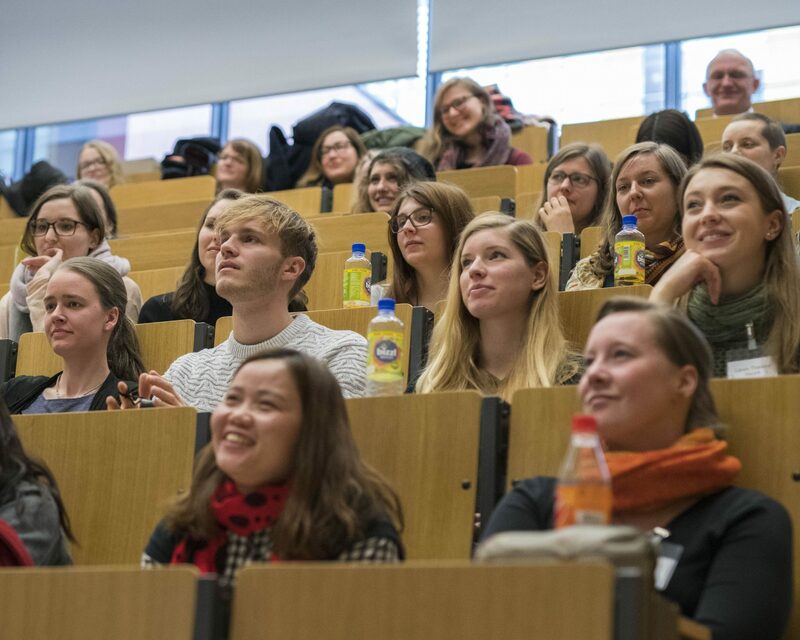 A good portion of the Spring School training program occurs amongst the international research hub that is the biological sciences department of Goethe University Frankfurt, a century old University renowned for its quality. It’s largest campus is found at the Northern edge of Frankfurt’s City Sprawl. Airport: Travel by any S-Bahn or U-Bahn line bound for the city centre up to the station Frankfurt “Hauptwache”. Change here to the underground line U8 in the direction of “Riedberg”. Depart at the stop “Uni Campus Riedberg”, which will take about 30 minutes to reach from “Hauptwache”. Start your walk towards the Biology building which is against the direction of train travel. You can also travel by taxi from the central station which will cost about €25.00. In the very heart of Frankfurt lies the headquarters of KfW Development Bank. This is the centre point of the bank’s many projects which fund development and conservation around the globe. Here our students will gain an insight into how this giant operates. Take the S-Bahn lines S8 or S9 in the direction of “Offenbach” or “Hanau”, three stops from Frankfurt Airport to Frankfurt Hauptbahnof. At Hauptbahnhof, take the U-Bahn line U4 in the direction of “Bockenheimer Warte”, which you will reach in two stops. Take the U-Bahn line U8 in the direction of Südbahnof up to the station “Hauptwache”. Change here onto line U6 in the direction of “Praunheim Heerstraße” or U7 in the direction of “Hausen”, travelling three stops on either line. To the East of Frankfurt’s core lies the central body of international conservation organisation Frankfurt Zoological Society. At this centre overlooking the Frankfurt skyline, our students will gain an understanding of how the organisation’s many projects across multiple continents are funded and presented to a variety of audiences. Take any S-Bahn or U-Bahn line bound for the city centre up to the station “Konstablerwache”. Change here (same platform but opposite track) to the Underground Lines U6 (direction “Frankfurt Ost”) or U7 (direction “Frankfurt Enkheim”). Both lines stop at the station “Zoo”, which is right in front of the Zoo entrance. Take the U-Bahn line U8 in the direction of Südbahnof up to the station “Hauptwache”. Change here to the Underground Lines U6 (direction “Frankfurt Ost”) or U7 (direction “Frankfurt Enkheim”). Both lines stop at the station “Zoo”, which is right in front of the Zoo entrance. Enjoy Frankfurt. Here are some visual inspirations from Instagram. Click here for more. Was für eine grandiose Spiegelung! Vielen Dank @sdphotoworks für diesen tollen montaglichen #igersfrankfurt Moment! 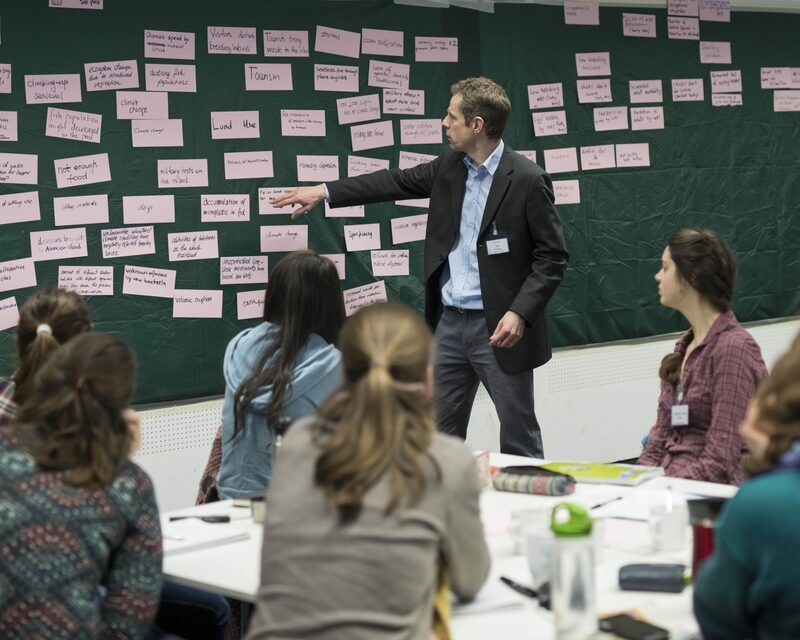 It is T-4: Frankfurt Spring School on Conservation Project management will start on Monday! The first of the 30 participants have already arrived. 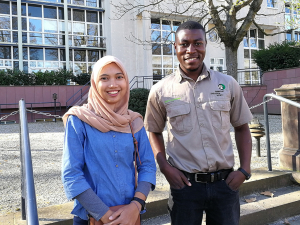 While taking a first glance at the Frankfurt skyline, FZS-Trainee Christina Götz asked Andhani Hartanti from Indonesia and Issah Mulilo from Zambia about their motivation to participate at Frankfurt Spring School and what they are looking forward to. Christina: I’m happy to have you with us already. Please give our readers a brief introduction of yourself. What is your motivation to participate in the Spring School? What is the first thing that comes to your mind, when thinking of the Spring School? Thank you very much for your time. Now enjoy sunny Frankfurt and have a great time here at the Spring School. Andhani is also featured in the FZS Image video. Check it out below. https://frankfurtspringschool.de/wp-content/uploads/2019/02/issah_andhani_spring_School_2019-1500x570.jpg 570 1500 Christina Götz https://frankfurtspringschool.de/wp-content/uploads/2018/02/logo-spring-school@2x.png Christina Götz2019-02-28 12:56:362019-02-28 14:36:06"Spring School is like a family"
In the last two years, the “Frankfurt Spring School on Conservation Project Management” has seen aspiring early career conservationists from across the globe accumulate to grow their knowledge and skills in preparation for successful conservation project managers. 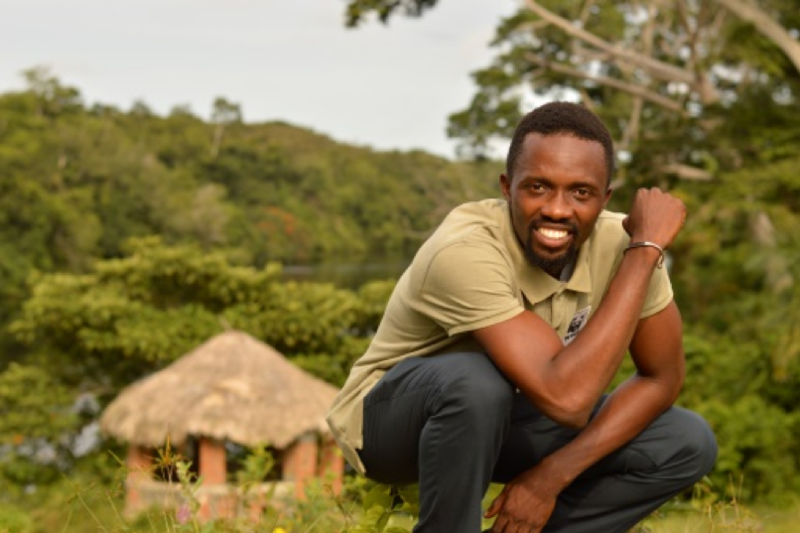 From the 4th to the 29th of March 2019, our leading conservationists, financial experts, HR leaders and communications specialists will provide the ultimate crash course to 30 Spring School participants. YOU could be on the receiving end of this invaluable opportunity. Project management – Accurate planning, monitoring and evaluation are critical to project success. Learn how conservation organisations manage their projects. Human resources & personnel management – Understand how a skilled conservation project manager becomes a strong and understanding leader who can recognise talent and nurture the skills of themselves and their team. A chance to learn from global conservation experts and pioneers. Financial management – Learn the basic elements of financial management and navigate examples of the funding systems that drive real-life conservation projects. Without money, achieving project success is impossible. Performance skills – Training in communications, writing ability, presentation skills and time/self and conflict management will provide you with some of the key skills needed to be a professional project manager. Organisational development – Learn how to develop a strategy for your organization and why it is important to have one. In addition, the programme includes a chance to understand the scientific research behind conservation efforts, an excursion to get a first-hand experience of wilderness conservation, and plenty of opportunities to spend time with your new colleagues. Do you have a passion for conservation, a strong work ethic and the drive to improve? Then, the Frankfurt Spring School might be the place for you. Click here to learn how to apply! Application deadline 1st of November 2018. Wondering how the Frankfurt Spring School can directly affect your career? We caught up with some of our 2018 participants to see how they’ve advanced in the last four months. Zsofia Puskas entered a position with WWF Germany just weeks after the conclusion of Frankfurt Spring School 2018. 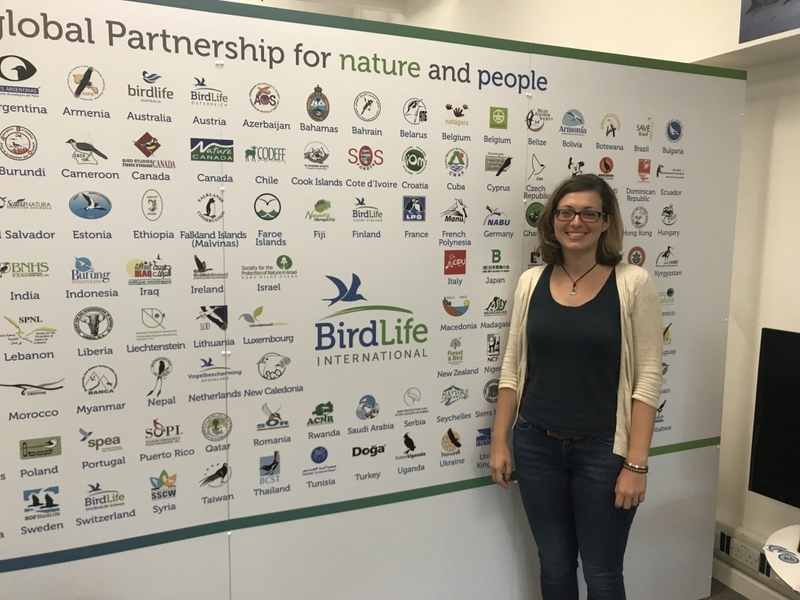 Knowledge gained during the course on how to carry out real world conservation has aided her efforts towards the reintroduction of the critically endangered northern bald ibis (Geronticus eremita) in Central Europe. Alex Seliger as he carries out work towards a M.Sc. in landscape ecology and nature conservation, within the National Park ‘Vorpommersche Boddenlandschaft’ (Baltic Coast, Germany). Frankfurt Spring School 2018 is already starting to feel like a distant memory. In reality only five months have passed. And yet, in this short time frame, we can observe our pioneering conservationists forging their careers. During this year’s Spring School blog we focussed amongst others on some of our participants from around the world – our six KfW Foundation scholarship students. To catch up on their stories in detail, follow this link to a previous blog post. Each scholarship holder brought with them a dream project proposal that would support the conservation of their respective protected areas. To further its aim of supporting pioneering ideas and environmental protection, the KfW Foundation pledged funding to three of the six scholars. Following the intensive Spring School programme, a series of individual mentoring sessions, and hours upon hours of planning and practice, the scholarship holders presented their project proposals to the KfW Foundation selection committee. The committee was tasked with an impossible decision, believing that each project proposal was deserving of funding. Ultimately, a decision had to be made. The salty pacific waters off the coast of Ecuador are the dwelling of a treasured bottlenose dolphin population and a rich variety of marine life. Humans have long fished these waters to support livelihoods, but in recent years overfishing within the protected area and lack of oversight by local fishing authorities have threatened the dolphins’ food source. Jennifer’s conservation efforts will begin with an awareness campaign encouraging responsible usage of the marine fauna by local fishermen. The project involves generating a strong commitment between the fishing authorities and Ministry of Environment to ensure respect for the existing fishing regulations. 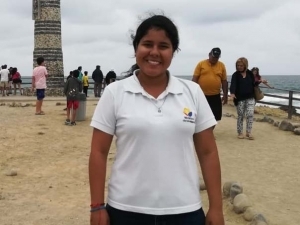 It is Jennifer’s hope that the defined actions for the management of the project area will be used as a pilot study for future global conservation projects related to fishing and marine animals. In the depths of Peru’s Bahuaja Sonene National Park lies the Heath River basin, a stretch of water surrounded by dense tropical rainforest. The area is home to a great diversity of life, including the vulnerable yellow-spotted river turtle. But, it has come under threat in recent years due to increased mining, logging and human expansion within the park. The eggs of the river turtle are used as a food source for native communities but are starting to become popular in the commercial market of growing nearby cities. The increased demand is driving unsustainable collection rates. Kevin’s project will involve the use of outreach to engage those living in the area, restoring harmony between humans and the national park. 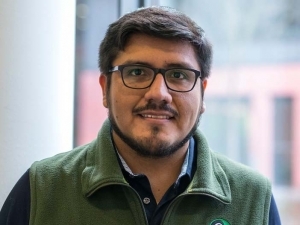 He will oversee the creation of beaches protected from human access, a resource efficient method of preserving the Heath river basin turtle population. The famous megafauna of Tanzania’s Serengeti National Park includes elephants, rhinoceros, lions, buffalo, and many more. The consequences of conflict between these animals and humans can be severe, but the monetary value of some of these species in international markets and the ever-present need for food makes this risk worth it for some. As the population of villages bordering Tanzania’s Serengeti National Park continues to expand, the rate of interaction between wildlife and human communities rises too. Excessive exploitation of the land and poaching are great threats to this bastion of biodiversity. Joyce’s plan will utilise beehives to provide a new socioeconomic opportunity for villages within the area. It is hoped that providing education on sustainable use of natural resources and the methods of beekeeping will reduce the burdens of poaching and unsustainable land-use on the ecosystem. The busy months ahead will be a great challenge for each of the KfW Foundation grant recipients, but there is no doubt about their dedication and ability to succeed. We are excited to see the effects of their enacted conservation projects as they unfold. It would be wrong to forget the equal amounts of hard-work and development carried out by the three remaining KfW participants during the 2018 Spring School programme. Lalatiana Randriamiharisoa, Tinh Nguyen Thi, and Muluken Abayneh have returned to their conservation areas around the world, not empty handed, but with an enriched skillset and motivation to become key assets to their respective projects and within the protected ares where they work. We wish all six 2018 KfW scholarship holders the greatest success in their endeavours during the hard months and years to come. Frankfurt Spring School on Conservation Project Management is an annual four weeks course unique to Germany for gaining crucial knowledge and skills required for becoming a professional project manager. It was developed within a partnership of seven organizations linked to practical conservation, science and research or general management.